A relaxing start to your holiday! 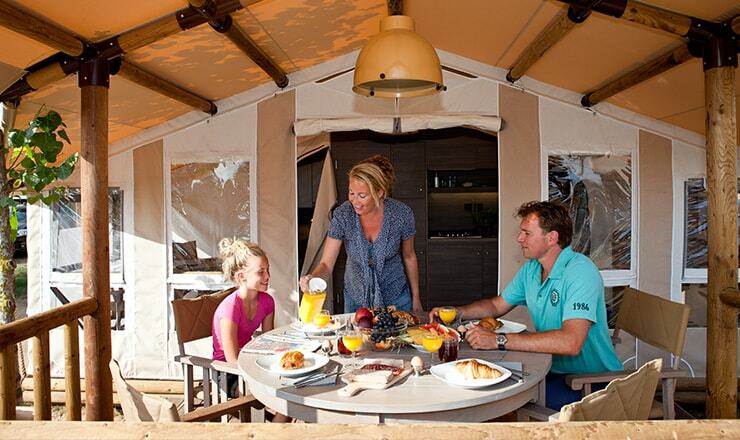 That’s possible with a luxurious, fully equipped SunLodge tent. No hassle any more, no messing around with tent poles, your accommodation is ready and waiting for you and is provided with every convenience. Real camping in an adventurous safari style! 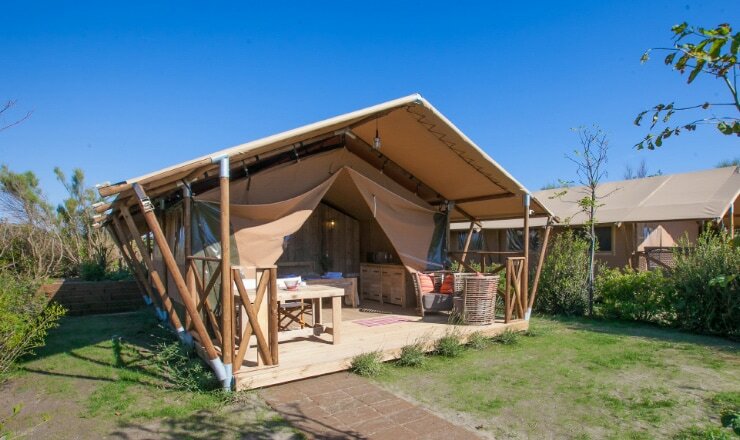 Actually the name tent (or bungalow tent) does not do it justice: the SunLodge Safari and SunLodge Jungle are designed with care and with an eye for detail. 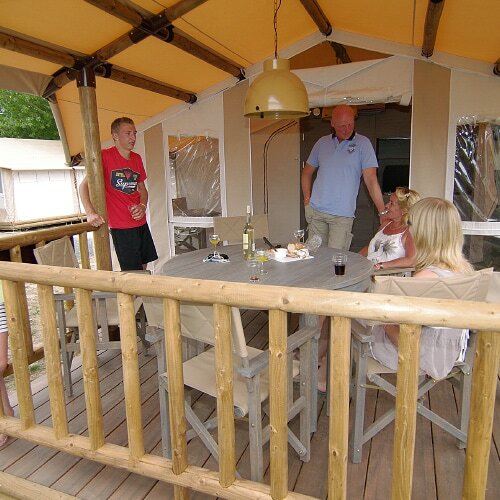 A camping holiday in this type of accommodation will guarantee you and your family a carefree time on one of Europe’s loveliest spots. 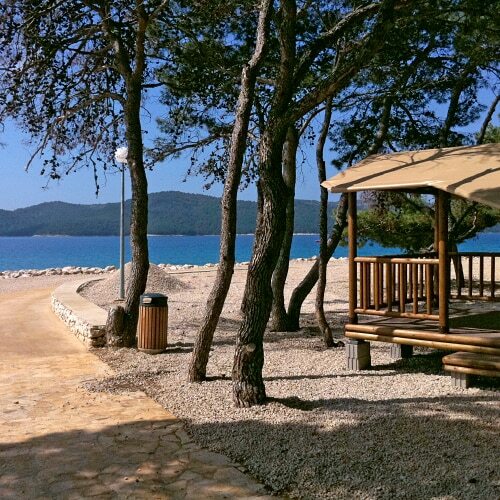 The campsites are in fact selected following strict criteria, including child-friendliness and standard of the amenities. 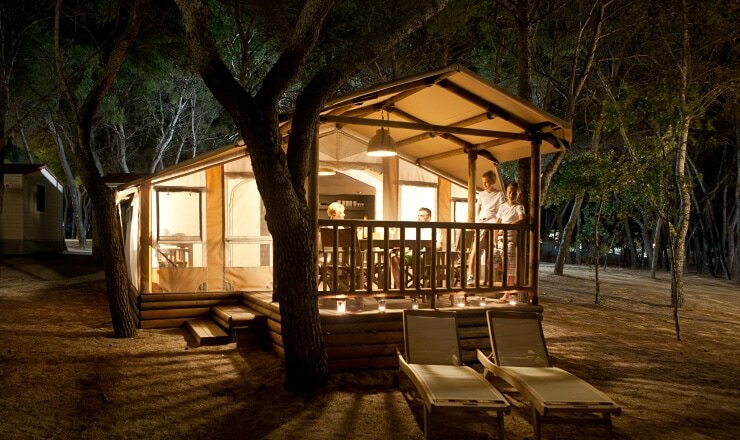 The names of these lodge tents have been chosen for a reason. The furnishings have been tailored to an adventurous holiday in safari style. Lovely poster murals will make your children think they are in Africa. Time to make a start on this exciting holiday! 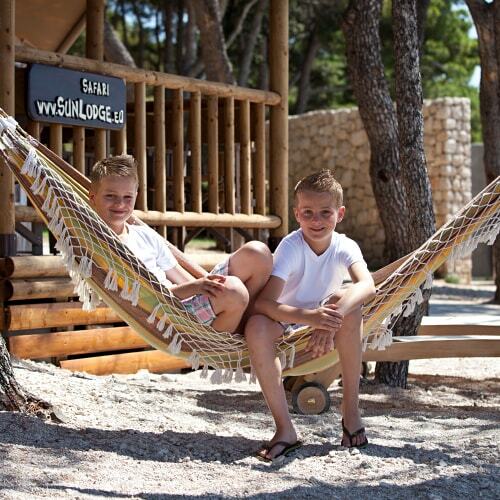 This SunLodge offers above average comfort with spacious beds and a covered wooden patio. From £ 225 a week!